CLOSEOUTS. 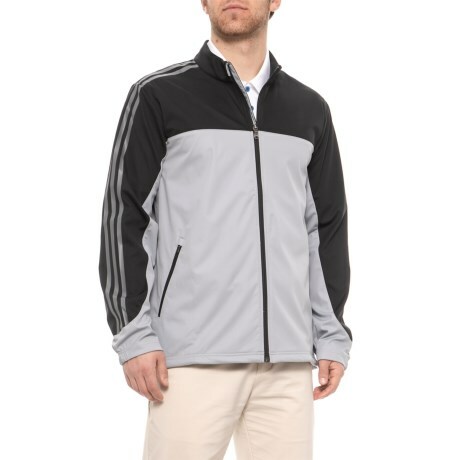 This adidas golf Competition Wind jacket protects you from brisk winds and light precipitation, so you can compete regardless of the weather conditions. Available Colors: BLACK, MID GREY. Sizes: S, M, L, XL, 2XL.